Looking for a nursing home in Florida? With over 600 nursing home facilities across the Sunshine State, it's worth your time to check out quality information on nursing homes you may be considering for yourself or a loved one. 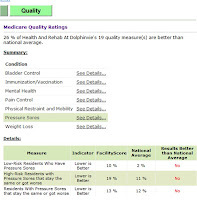 You will find a range of quality scores when reviewing Florida nursing homes - from 21% to 100% of reported quality measures meeting or exceeding the national average. It is also important to review each measure for how much the nursing home is away from meeting the national average. 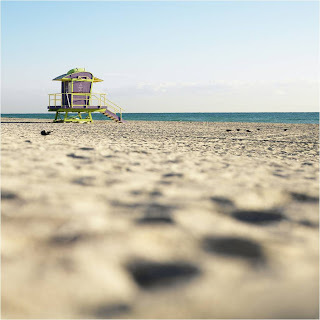 For example, a nursing home in St. Petersburg, Florida has an overall quality score of 26% meaning that 26% of their 19 measures met or exceeded national average. By reviewing areas of interest on the quality tab, patients/families can review the nursing home's score for each measure against the national average. You can view a snapshot of the 3 pressure sore scores against the national average for this specific nursing home. As you can see, this facility falls short on all three of the pressure sore quality indicators.